This year all conference talks will be at USA Cycling, 210 USA Cycling Point, Colorado Springs, CO 80909 NOT at the Olympic Training Center! 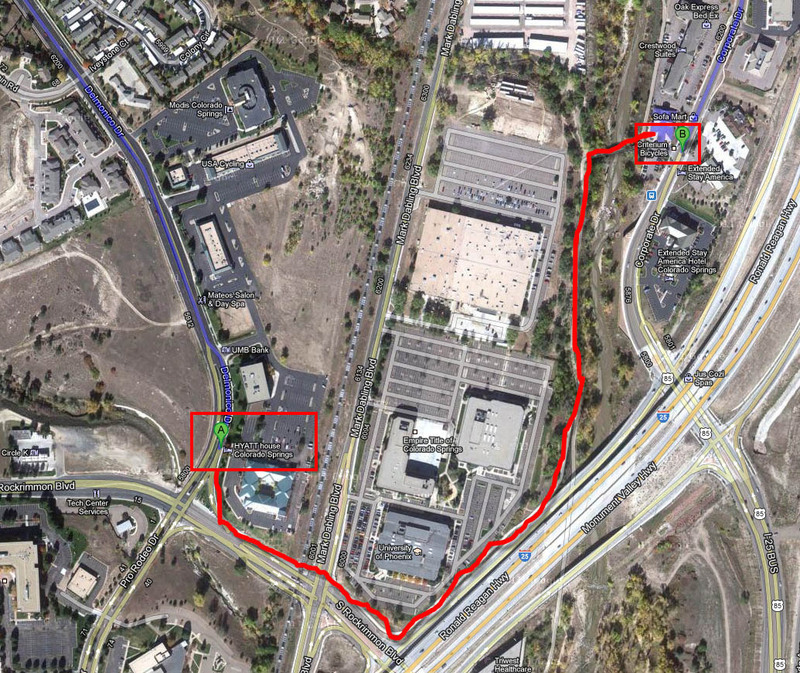 It's a 6 minute/ 0.2 mile walk from the Hyatt House at 5805 Delmonico Drive. In addition to conference presentations, we will host a group ride on Saturday afternoon taking participants on a tour of the legendary Garden of the Gods. Group Ride Route Map & Turn-by-Turn directions. Bike rentals are available at Criterium Bicycles (www.criterium.com). Please call Criterium Bicycles at 719 599 0149 to reserve a bike in advance. We will also continue our annual tradition group dinner on Saturday evening.